Simply passionate about cakes and constantly sketching new ideas, testing new recipes and pushing the boundary of conventional cake-design into new areas, Yevnig takes pride in creating truly individual and unique cakes; each one handmade to ensure an exquisite character and taste. 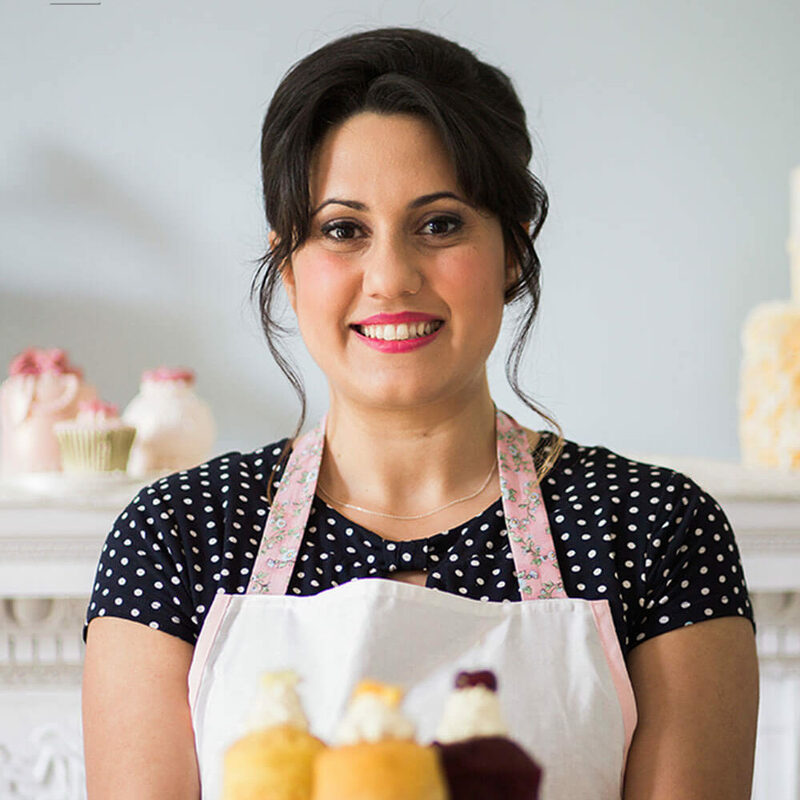 Using only the very finest ingredients and recognising her client’s special day will be remembered for the rest of their lives, the artisan baker takes seriously her role in creating a striking and opulent centrepiece to make every wedding day exceptional. Typically working exclusively on just one commission at a time in her dedicated kitchen (and allowing extra care for all those little individual and intricate details) assures a cake from Unique Cakes by Yevnig is very always distinctive and personal. In addition to creating grand centrepiece cakes for luxury weddings, the boutique cake company also offer an extensive range of exceptional Cupcakes Towers, Miniature Cakes, Cake Pops, Cookies, Meringues, Tray Bakes, Macarons and Sculpted Cakes to create wonderful and lavish Dessert Table displays. Furthermore, to present our work at its best, a large selection of luxurious and co-ordinating cake stands, dessert table articles and opulent knife cutting-sets are available to hire. “Unique Cakes by Yevnig has fast-become a familiar and trusted name in the luxury wedding scene. Evaluated and accepted by the National Association of Wedding Professionals in 2015, Unique Cakes by Yevnig are proud members of the NAWP. Led by renowned wedding planners Lester Gethings, Amanda Sherlock and Siobhan Craven-Robins, the NAWP is committed to promoting professionalism within the wedding industry. 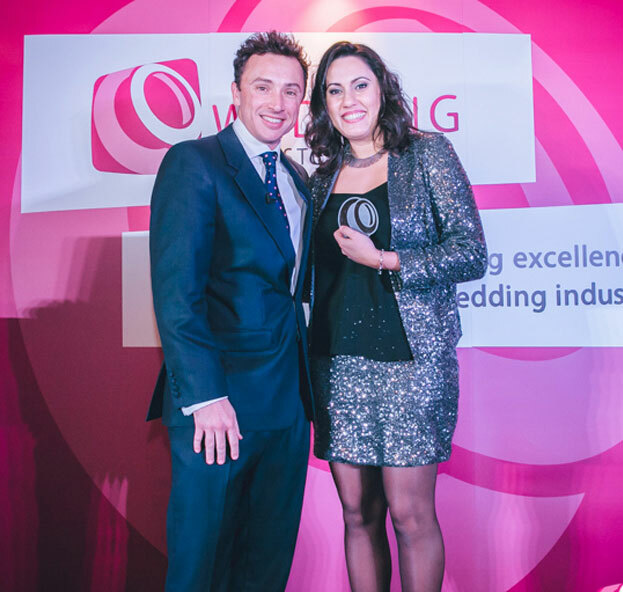 In recognition of a pursuance of unreserved quality, Unique Cakes by Yevnig were winners of The 2016 Wedding Industry Awards “Best Cake Designer for London and the South East”, an accolade Yevnig is particularly proud to have achieved. Find out what our clients are saying about Unique Cakes by Yevnig. Based in Basingstoke, Unique Cakes by Yevnig provides a premium consultative service primarily across Hampshire, Dorset, Wiltshire, Berkshire, Surrey and London, accepting commissions nationwide and internationally, if required. Fortunate to have experienced a variety of cultures, tastes and experiences inspiring her outlook throughout life, Yevnig brings an international and very-unique style & flavour to her work. Growing up in the vibrant Mediterranean, the cake-creative was surrounded by colourful people, vibrant language and amazing food. Discovering a love for Art in her early years, Yevnig was particularly enthralled and enchanted by the spectacle of large weddings. Over more recent years, Yevnig’s passion and creativity for conceiving beautiful wedding dresses has organically grown and metamorphosed into a distinctive and individual design flair for creating the most elegant luxury wedding cakes. With a nod to her love of bridal wear, some of Yevnig’s most recognised work has taken valuable inspiration from classic wedding dress features such as ornate textures, decoration and textiles. With fantastic support from clients and industry friends, the boutique cake decorator continues to evolve a distinctive style… fresh and innovative, creative and passionate, dedicated and focused, expert and personable, reliable yet fun and above all… always unique! “Yevnig’s passion and creativity for conceiving beautiful wedding dresses has organically grown and metamorphosed into a distinctive and individual design flair for creating the most elegant luxury wedding cakes.